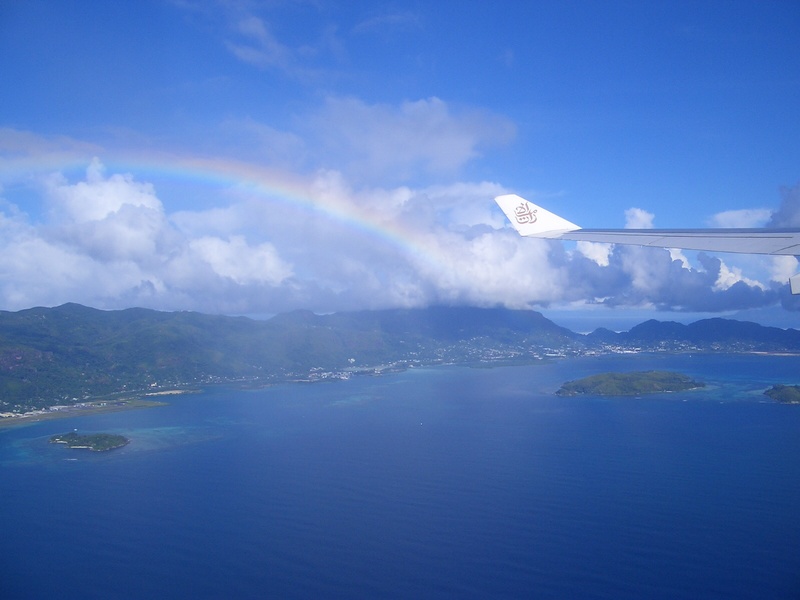 As I am currently on Mahe getting ready for the arrival of our little boy bump I am handing over to Sophie to share a little about her two, very different trips to the Seychelles! Sophie is a mum of two and an expat based in Singapore, she can be found writing at Idaandernest.com. Check out Ida & Ernest for destination guides from local parents, free travel themed printables and lots of tips, tricks and inspiration for travelling as a family. I’ve always felt the tourist tagline for The Seychelles Islands should be ‘There’s something about the Seychelles!’. I used to work for a Gulf based airline so we were frequently flying in and out of Male, the capital. Even though the flight departed at an ungodly 3am it was a brilliant flight to work. En route you had an airplane full of happy holiday-makers on a trip of a lifetime. Honeymoons, birthdays, anniversaries – all celebrated on these beautiful, tropical islands. There was more champagne consumed per passenger per hour in the air than any of the other destinations I worked. And the return flights were full of tanned and relaxed passengers who had all had an amazing trip and really didn’t want to go home! As crew, we got to fly in, do a quick turn around, reload and then jet off again. We saw paradise from above and it was always bittersweet. And so one year, I bit the bullet and booked a flight to Mahe for my mum and I… and then spent an awful lot of time googling ‘Seychelles on a budget’! Wow, even with an airline discount those big resort hotels sure know how to charge. So we ended up going ‘boutique’. It’s not kid friendly, it doesn’t have a pool, there are no gyms, buffets or organized activities …. But if you want to SEE some of the Seychelles and want a friendly, beautiful and relatively reasonable place to stay, then I couldn’t recommend the Lazare Picault Hotel enough. It’s situated on the ‘so gorgeous someone must have photo-shopped it’ Baie Lazare and the views are breathtaking! There is a bus stop right by the hotel and we made the most of exploring the island by the slight roller-coaster ride of the Seychellian public transport system. The island was everything I had hoped from the stories I had heard from the many passengers I had served. Mum went snorkeling for the first time and says I have now spoilt it for her forever as she will never see anything better than the marine life at the Sainte Anne Marine National Park. We scared ourselves silly over the fruit bats in the National Botanic Gardens and spent far too much on coco de mer themed souvenirs in Victoria. It didn’t take much convincing to persuade my husband we should do a trip with our daughter a while later. And so with a lot more luggage, using a hire car instead of buses and staying in a big resort with all of the aforementioned amenities we had the most wonderful week that was totally different to my ‘girls trip’. Equally fun but with a few more pauses for naps! 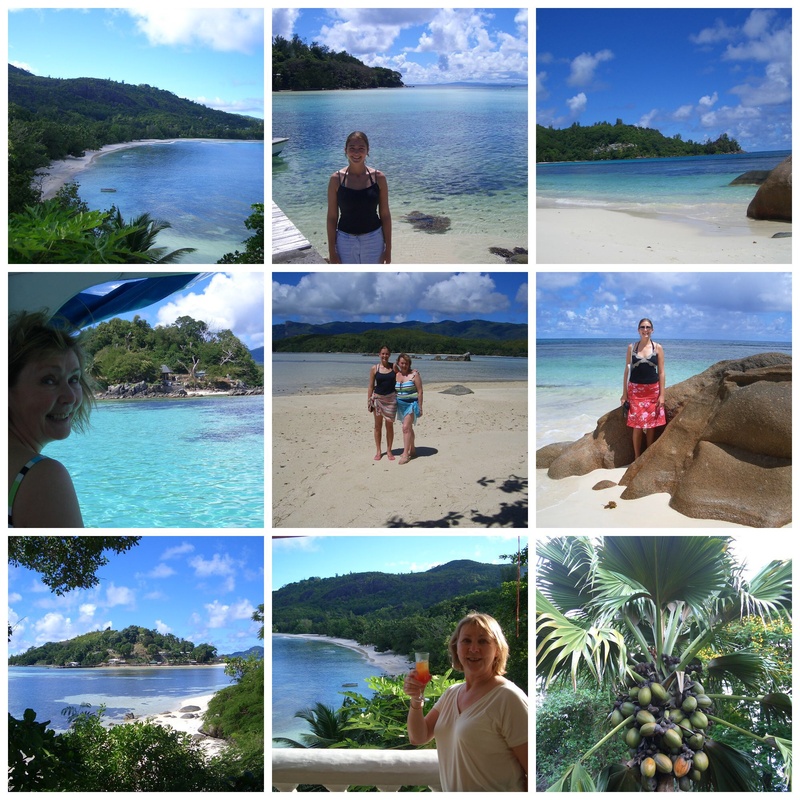 I have written more about our family trip to the Seychelles if you want to check it out! I couldn’t recommend the Seychelles highly enough as a holiday for all ages. I can only wonder what it’s like to live in paradise permanently? Chantelle?! In case you were curious the current official tourist slogan for the Seychelles is, ‘The Seychelles Islands, another world!’. And what an amazing one. A huge thanks to Sophie for guest posting on my blog! I love that you’ve had two such different experiences here, and that you had such a great time here with your family! Although the Seychelles is definitely famous for being a honeymoon destination I truly think it makes a fantastic destination for traveling with kids!! I’ve written a few tips about traveling to the Seychelles with babies and toddlers if you want to check that out! This post is wonderful, really useful advice thanks! It could do with having Seychelles in the title so people know where it is about when it’s shared on social media.